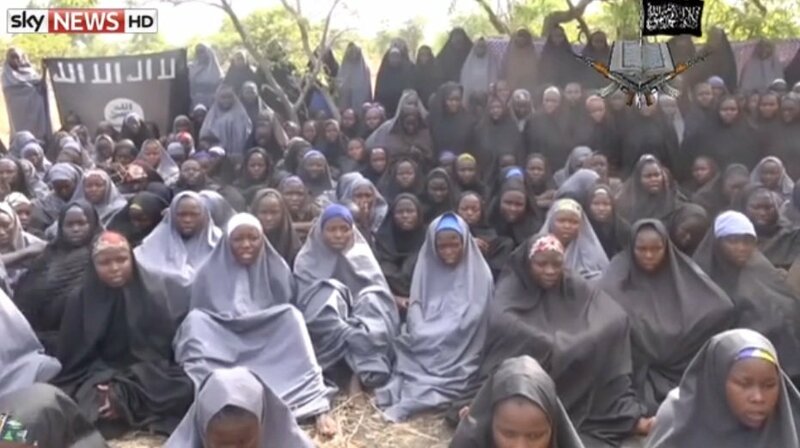 A new video released by Islamist militants Boko Haram claims to show around 100 girls kidnapped from a school in Nigeria last month. The group’s leader, Abubakar Shekau, said they would be held until all imprisoned militants had been freed. Boko Haram said the girls have converted to Islam. The girls are reciting the first chapter of the Koran.